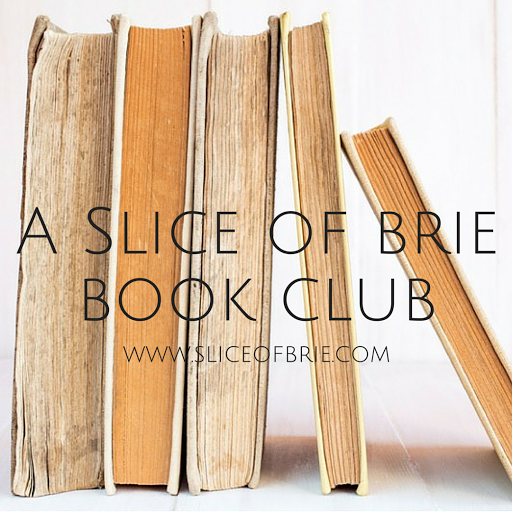 One of the things I most looked forward to when my husband and I decided to move back to Edmonton from BC was getting to rejoin my Book Club! Last night was my first meeting back; how fitting as it ties in with all my bookish New Year resolutions. Plus, a bunch of young women, talking books and drinking wine? Win-win-win! This month’s pick though was a tough read. I wanted to love this book from the beginning because who doesn’t find slavery and rebels and concubines fascinating? Now, there’s no denying that social studies was always my weakest subject in high school, but I’m still open to learning about history when it’s presented to me in a fiction novel. And I was just in the Dominican Republic, so naturally I thought the history in the book on the slave rebellion, in then called, Saint-Domingue, would be even that more interesting as I could somewhat picture the landscape in my mind. Wrong. The history did not appeal to me in the book, which is OK, because I had characters to draw me in and fall in love with, right? Nope. This didn’t happen either. The main character, Zarite, who is a young girl when she is purchased by Valmorain, a French sugar-cane plantation owner, to be a slave for his new bride, was disappointing in that I never felt drawn into her character. I liked her, but I never got to know her. I pushed through reading the book because I wanted to find out what happens to Zarite, but when the book ended I didn’t feel sadness for her or for the fact that I now had to say goodbye to my “friends” of this book (which is often the case when I read a really, really good book – think: The Help). Actually, I was really excited to go look at my pile of books and decide what I am going to read next! (The Invention of Hugo Cabret in case you’re wondering). This book, written in third person, is about Zarite’s life as a slave and her struggle to free herself from said slavery. The narrator knew the thoughts of all the characters; yet, the author felt it necessary to write a chapter here and there from Zarite in first person, (which still didn’t pull me into Zarite’s character). The only pleasantry in reading the first person narrative is that it was in italics, which is beautiful and easy to read. Otherwise, the overall flow of the book felt disjointed. Characters and history were introduced at odd times, which made the history and politics of the slave rebellion confusing for me, and I found it tough to keep track of who some of the characters were. Events that I waited the whole book to find out about were summed up in a paragraph or two. The ending felt rushed, and while some peace was found for Zarite, other events that unfolded left a bitter taste in my mouth. Is it bad that the whole time I was reading this book, I was thinking about how I would much rather be rereading The Book of Negroes instead? 4 out of 8 women at Book Club finished the book. One girl liked the first half of the book the best, whereas I enjoyed the second half better. Feelings on poor character development and the unnecessary flip-flop from a third person to first person narrative were pretty unanimous. No one LOVED the book by any means and it was difficult to have an extended conversation about the book as there was nothing exciting to discuss, and we quickly found ourselves discussing other books various members are currently reading. While I wouldn’t be able to recommend this book to a friend (or a customer), I wouldn’t adamantly discourage anyone from reading it either as we all have different tastes and while the political aspects of this book bored me, I know others eat that stuff up!